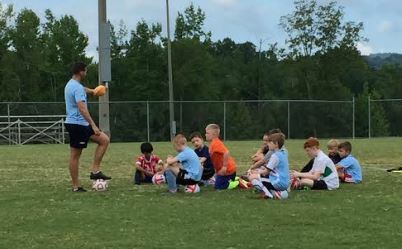 British Soccer Camps are the most popular soccer camp in the US. With an innovative curriculum that develops skills, speed and confidence in players ages 3-18, The British Soccer Camp provide boys and girls with the rare opportunity to receive high-level soccer coaching from a team of international expert's right in the heart of their own community. In addition to teaching new skills and improving game performance, each British Soccer Camp provides lessons in character development, cultural education and is the most fun your child can have learning the sport they love! 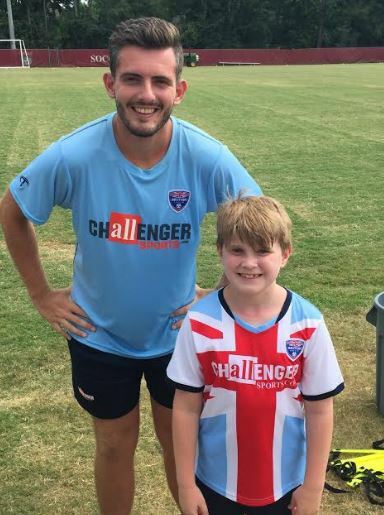 This past summer, G got to participate in one of the Challenger Sports British Soccer Camps near us. It's been two years since he participated in one, so he's quite older now and did a FULL DAY CAMP. Yes, from 9am to 4pm. He felt like such a big kid! He had such a wonderful time and learned so many soccer skills. 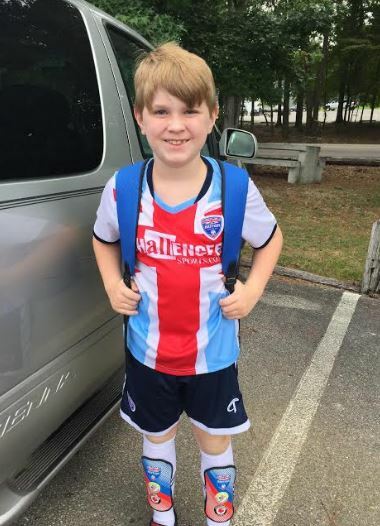 G played park league soccer for a few years but Gavin it up for karate but we usually take a week in the summer for soccer camp just because he still really does love soccer. This was a great camp for him because he learned some new age-appropriate soccer skills. And despite not playing year-round, he can still hang with all the other kids that have several more soccer season under their belt that he does. G's coach, Coach Michael is from Ireland - which G thought was just the coolest thing ever! He was great with the competitive group of boys he was tasked with! I didn't hang around much every day because that was cramping G's style having his mom around taking pictures of everything. But I did try to sneak up before the end of camp each day to try to get a peak. And we did snap a last day of camp photo with Coach! G was SO sad to have camp over. I feel like we will probably be back next summer. I know he's been practicing what he's learned so he can stay sharp. Every day after camp when he was giving me the run down on the day's activities he would tell me such encouraging things that Coach told him about his skills and his sportsmanship. These British Soccer Camp coaches really just want each kid to be their best! 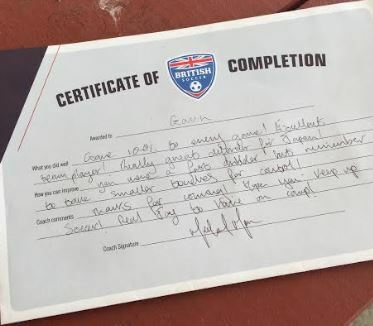 G treasures the kind words coach had to say about him on his certificate he was presented with at the end of camp. The fact that the coaches take the time to do this for every kid that comes through their camp speaks highly of their care for the kids and their development not just as soccer players, but as good sports. 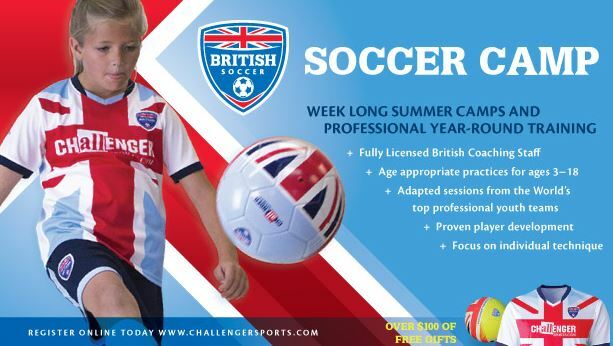 So in short, if your searching for summer soccer camps for 2019, I encourage you to take a look at Challenger Sports British Soccer Camps! 2019 dates and locations are already up on their website! Big thanks to USFamilyGuide and Challenger Sports for hosting us for a week of camp. All opinions are my own and all big smiles belong to G.